How do marketers concoct the perfect conversion cocktail? It’s all about keeping the sales funnel full-bodied and balanced. From top to bottom, your process should go down smooth. 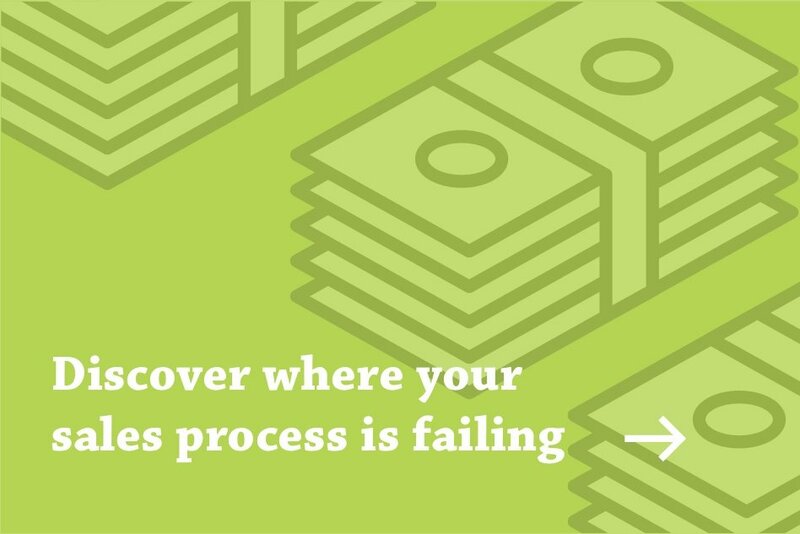 That means that your efforts should be consistent throughout the buyer’s journey. 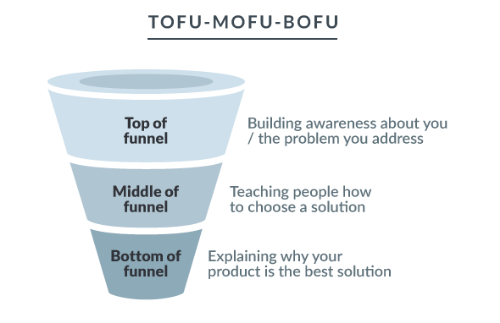 In this post, we’ll explain the importance of having equal parts Top of the Funnel (TOFU), Middle of the Funnel (MOFU), and Bottom of the Funnel (BOFU) content, and offer tips on how to optimize each stage to drive more conversions. Have a taste! First off, it’s important to keep in mind that your lead generation and nurturing flows should be organized in a similar fashion to ensure you're dishing up the right content at each stage of the funnel. Since 50% of qualified leads are not ready to make a purchase when they first convert, your TOFU, MOFU, and BOFU content creation and related promotional tactics serve the purpose of nurturing inbound leads. At the top of the funnel, you should cast a wide net to attract a large audience of leads, because you want to generate relevant traffic without deliberately filtering or discouraging conversions. You can bring in leads through search-optimized blog posts and calls-to-action that leads TOFU prospects to conversion opportunities. For example, offering a downloadable eBook encourages site visitors to trade their contact information for the helpful content inside. Since leads at the TOFU are in the Awareness stage of the buyer’s journey, you should be educating them on a specific question, need, or pain point that they’re looking to address – without a blatant sales hook. A visitor becomes a lead once a they convert on a TOFU content offer (fill out a form on a landing page), and start their journey into the MOFU. At this point, your content should reflect the fact that leads have not been fully qualified. So, continue to educate leads, but start to position your company as the solution to their needs and challenges. Comparative white papers or case studies are great content offerings during this stage because they present your solution (along with others) as a viable option to solving their problem at hand, which also helps you build credibility. You’ve entered the bottom of the funnel once your leads know you and are comfortable engaging one-on-one. This is where a free trial, consultation, or product demo works nicely to start the dialogue and to begin to fully qualify your most interested leads. So, how can you tell if you have equals parts of each stage of the funnel? Conducting a complete content audit can help you identify if you’re ignoring at least one part. If that’s the case, you’re only speaking to certain segments and possibly missing out on huge swaths of potential customers. What happens if your content is all TOFU, all MOFU, or all BOFU? You’re effectively educating and entertaining people, but it’s likely that you’re losing out on a lot of conversion opportunities downstream. You’ve restricted yourself only to people who are aware of the problem you’re solving. You need TOFU first to enhance awareness. Your content is essentially a brochure. Make sure to diversify your content so you're on coming across as too salesy and turning people off. Your content is essentially a brochure. Make sure to diversify your content so you’re not coming across as too salesy and turning people off. A key takeaway here is to clearly define whom you should be speaking to so that you know where most of your readers are in the funnel, and can plan out your content calendar accordingly. Know your buyer personas, know where they are in the buyer’s journey, and create content that meets them and guides them to their best solution, the sweet spot. Want more tips on how to revamp your sales and marketing strategies? Check out our free eBook!